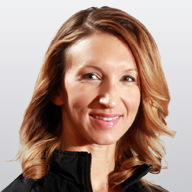 Christine is a Teacher Trainer for Power Pilates (2012) and Xtend Barre (2010), Xtend Barre Director of Training U.S. as well as a Pilates teacher at her in-home studio in Holly Springs, NC. She has been teaching Power Pilates continuing education workshops since 2007, and has presented Pilates workshops professionally throughout NC along with Prenatal workshops for Xtend Barre. Christine has been honored to be on faculty with the American Dance Festival at Duke University where she has been teaching Pilates mat for the past three seasons. Christine experienced her first Pilates mat class during the American College Dance Festival at Smith College in 1996. That memory has stuck with her throughout her dancing years and beyond. As a graduate of the University of Massachusetts at Amherst with a BFA in Dance and a BA in Education, she was able to pursue modern dance and teach elementary school for special needs children. Christine then received her MS in Child Development from East Carolina University (2001). After years of work as a Child Life Specialist at UNC Hospitals, she needed to come back to her roots of movement. She received her first comprehensive teacher training from PhysicalMind Institute (2003), and then her final comprehensive training with Power Pilates (2005). She currently resides in Holly Springs, NC with an amazing husband and two energetic boys that allow her to live her dreams day to day.